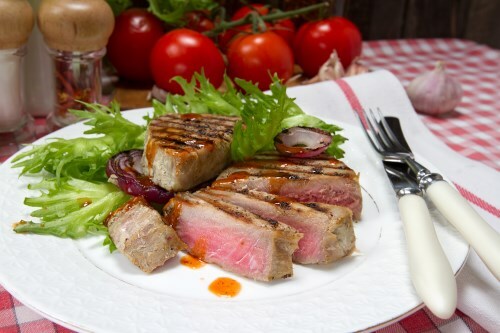 Whisk 2 tablespoons melted extra virgin coconut oil, lemon zest, coriander, black pepper, ginger, salt, and cinnamon in a small bowl; rub tuna steaks with spice mixture. Heat 1 tablespoon extra virgin coconut oil in a large skillet over medium-high heat. Sear tuna in the hot oil until browned but still pink in the center, about 3 minutes on each side.